The concept of apprenticeships is almost as old as the concept of work. Some 4 000 years ago, the Babylonian Code of Hammurabi compelled artisans to teach their crafts to the next generation. Through the centuries, apprenticeship practices have evolved to what we know today. In the culinary world, particularly in Europe, it is common for a young person to train in-house and learn from an established chef. The ChefMLK apprenticeship programme will be launched at the end of June with its first intake of first-year apprentices. The cooking school can accommodate groups of 12 apprentices at a time. The apprenticeship is a three-year programme that culminates in a diploma. Each year consists of six one-week block release modules at the cooking school, combined with hands-on training in a commercial kitchen. In practical terms it sees trainee chefs working at an establishment and being released for a week per month to attend lectures at the cooking school. “By the time a student qualifies, s/he has three years of working experience in addition to a diploma,” says Hutchinson. What makes this route even more attractive, is that around 90% of apprentices remain employed after qualifying. The ChefMLK apprenticeship programme is aligned with changes in the local industry. In South Africa, the professional chef occupation has been accredited as a trade occupation, meaning that chefs are regarded as artisans. Government is also increasingly supportive of learnerships and apprenticeships, in order to avoid an oversupply of inexperienced graduates. 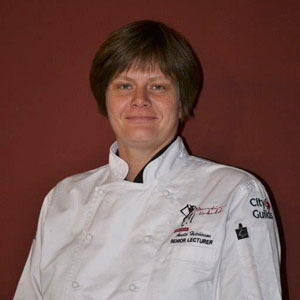 In line with these developments, professional chefs in South Africa will in future have to complete a three-year programme as per the requirements of the Quality Council for Trades and Occupations (QCTO). Unlike other shorter programmes, the ChefMLK apprenticeship is already at the three-year level, positioning the qualified artisans to achieve professional chef status. Amelia Hutchinson is the perfect person to establish and run the new in-house apprenticeship programme at ChefMLK School of Cooking. Now a senior culinary lecturer, she knows what it’s like to start on the bottom rung of the culinary ladder. “After finishing school, I worked as a waitress at La Terrazza, an Italian restaurant in Springs, my home town,” she remembers. Having progressed to assistant manager, she decided that she belonged in the kitchen, and exchanged serving pizza and pasta for apprenticing with Glynn Sinclair at Sinclair’s Signature Specialities. While doing her three-year apprenticeship, Amelia completed the THETA-accredited Certificate in Professional Cooking with HTA. Subsequently, she obtained the City & Guilds Diploma in Culinary Arts, became an accredited assessor through Corporate College International, and completed the AIB Food Processing Sanitation/ Hygiene Certificate. Back home, Amelia worked at the Wanderers Club for two years before finding her true passion at the HTA School of Culinary Art where she was a head of department for seven years before joining ChefMLK School of Cooking. A highlight of this period was the e-learning programme she piloted with HTA and Hilton Middle East and Africa. A firm believer in apprenticeships, Amelia’s intention is to establish a programme at ChefMLK School of Cooking that will enable employers to equip young, upcoming chefs in-house with the necessary skills and qualifications to grow in the industry. In her own home, Amelia also invests time in tomorrow’s chefs. Her four-year-old son enjoys helping her in the kitchen and, judging by the arguments that ensue, he may already have the temperament to be a chef! 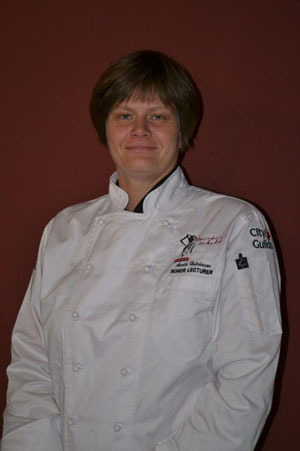 And learning from a mother who counts being part of the team that catered for Nelson Mandela’s 80th birthday dinner at Gallagher Estate and cooking lunch for Chef Heinz Brunner as an apprentice among her career highlights, is an enviable advantage. ChefMLK is a leading food and beverage solutions company providing professional culinary consulting services and cooking training, led by well-known Chef Martin Kobald (ChefMLK) who is the Vice President of the World Association of Chefs Societies (WACS). Chef Martin is Honorary Past President of the South African Chefs Association (SACA); and a globally accredited culinary A Category judge for both SACA and WACS. 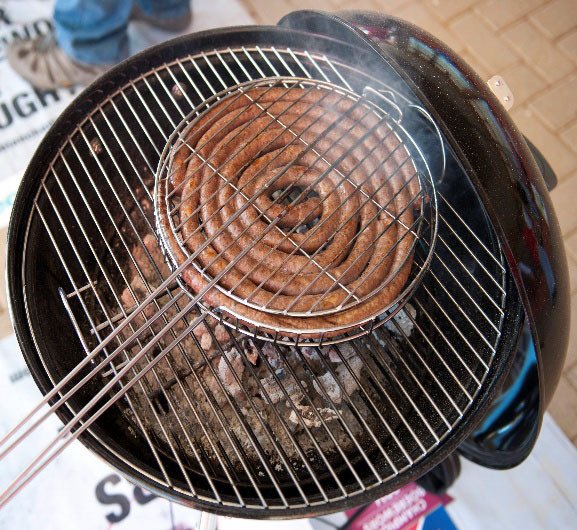 He has served as a judge in various competitions, including the Global Pizza Challenge; Checkers Championship Boerewors and Chopped SA, and has judged various international culinary competitions worldwide – In 2016 alone, Kobald judged competitions in Singapore, Istanbul, Dubai, Abu Dhabi, Cambodia and Australasia. Chef Martin Kobald was one of the Chef judges on Clover’s Little Big Cook Off, Season 1 (2014) and 2 (2015) which was run on SABC3 and subsequently on African based tv programming.